Transform any room with sturdy Faux Wood and Composite Blinds, a cost-effective way to decorate your home. 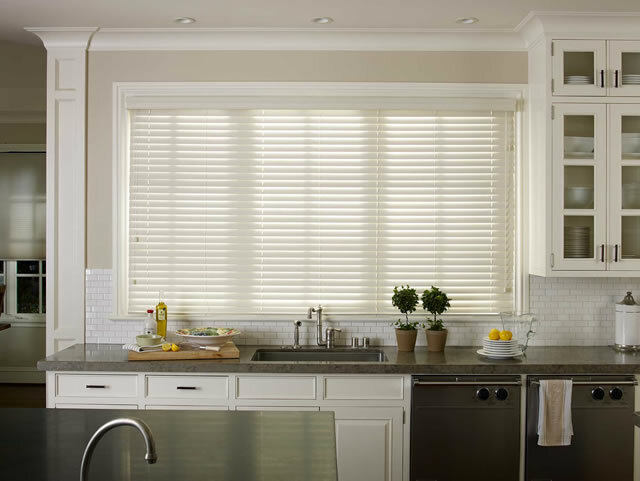 These blinds are an excellent addition to high humidity areas including kitchens, bathrooms, or laundry rooms. Where traditional wood blinds are not recommended, these perform beautifully. 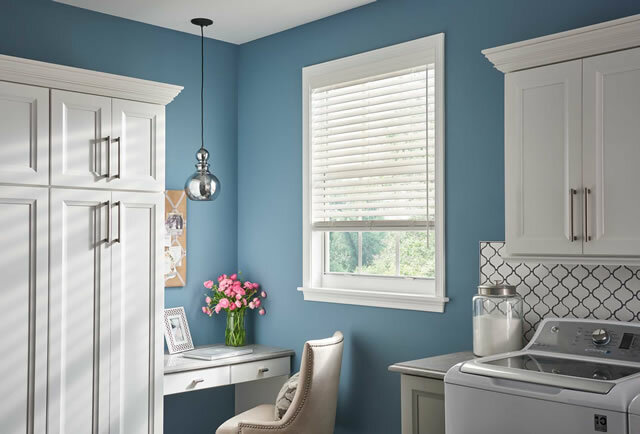 These easy-to-clean, enduring blinds are engineered to withstand moisture and offer an affordable alternative to wood blinds. Premium Faux Wood Blinds coordinate beautifully with our selection of Wood Blinds, thanks to matching colors and a realistic wood grain design. 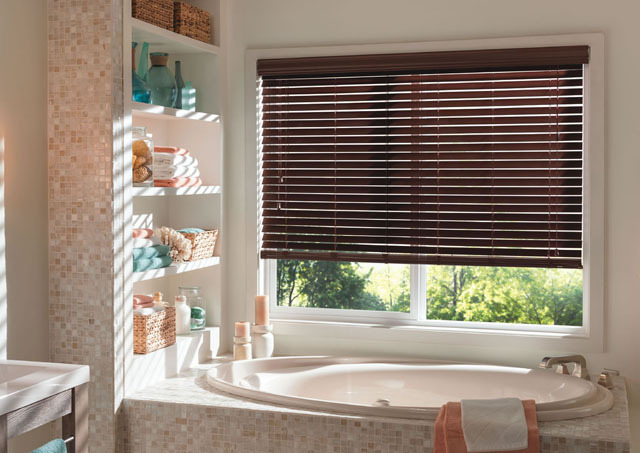 Composite Blinds are available in a variety of slat sizes, including the unique 2½” double bevel design, composite blinds combine extra durability with the extraordinary look of wood.